A 1km x 1km UTM NAD83 grid that is a standard reference index for Ontario. It includes a Military Grid Reference, Fire Base Map identifier, Fire Base Map Block, and an Atlas identifier. 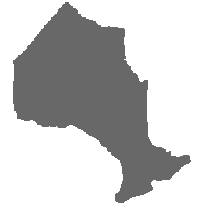 This grid is generated from corner points, covers the province of Ontario and is intended for general use. The Natural Resources Values Information System which is the Ontario Ministry of Natural Resources editing environment for provincial data sets. Military Grid Reference - A unique identifier that identifies a specific Military Grid Reference System (MGRS) grid cell. (e.g. 17TPM7011). Fire Base Map Identifier - A five digit identifier used by the Ontario Ministry of Natural Resources Aviation and Forest Fire Management Program (AFFM) to identify a Fire Basemap. This code is comprised of the first two digits of the UTM Easting, and the first three digits of the UTM Northing. Fire Base Map Block - A two character identifier that identifies the Fire Basemap Block. Each ten kilometer Fire Basemap is subdivided into 100 one kilometer Fire Basemap Blocks from 00 (SW of Fire Basemap) to 99 (NE corner of Fire Basemap). The first character from Block is derived from the 3rd digit of the True UTM Easting, and the 2nd character is derived from the 4th digit of the True UTM Northing. Atlas Identifier - A unique identifier that identifies a specific grid cell. (e.g. 17PM7011) Although similar to the Military Grid Reference System the Atlas Identifier does not included the Grid Zone Designation (e.g. T) typical of the Military Grid Reference System and is considered a derivative.